Chris Maragos has become a lobbyist, or so people might assume, considering all the effort the Philadelphia Special Teams Ace is injecting into his fight against the League’s plans to change the kickoff rules once more. At this point, the NFL spread doesn’t seem so important, what with all the hullaballoo surrounding NFL coaches and their stand against league executives. If you talk to NFL executives, they will tell you that they are simply trying to make NFL games safer, this after analyzing statistics and determining that a lot of the high-speed collisions that cause injuries manifest during the kickoff. Maragos claims that the kickoff is hardly as chaotic as some people think and, surrounded by so many talented players, he has never felt that his safety was compromised at any time. If anything, Maragos thinks that people like competition committee member Stephen Jones of the Dallas Cowboys are the true threat; having already moved the kickoff from the 30-yard line to the 35-yard line a few years back, Maragos has more than had enough of the NFL’s meddling. It has been the NFL’s goal for a while now to reduce the number of returns, which is one of the reasons why the ball will be put on the 25 rather than the 20 (though only for a trial period of one year). The NFL isn’t completely deaf to the calls of coaches. During the offseason, senior vice president of officiating Dean Blandino met and spoke to special teams coaches. Whether or not the meeting (conference call) achieved its objectives, it should be noted that Blandino downplayed any rumors about the Kickoff being eliminated, admitting that it was still one of the most exciting plays of the game. Yet, the NFL’s determination to make changes cannot be ignored. 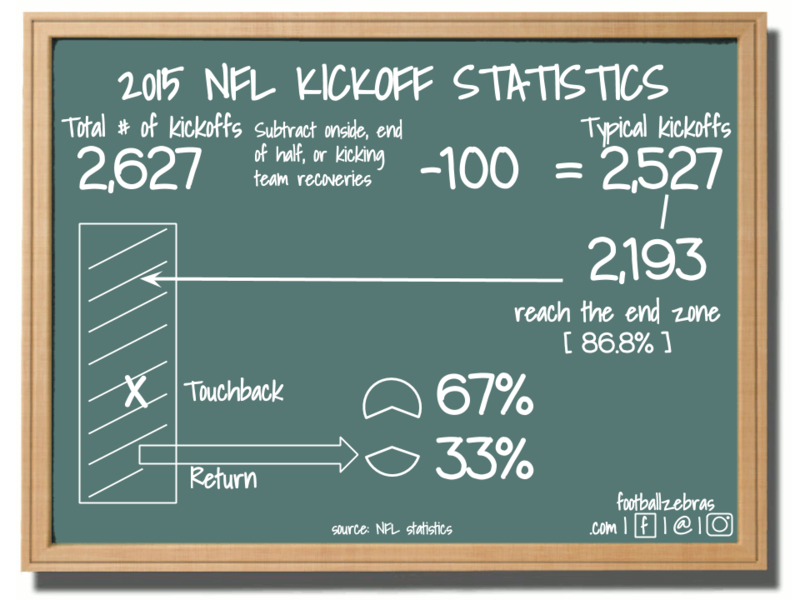 Clearly, the league thinks that the kickoff is a threat. All the attention surrounding the issue of concussions in the NFL is driving executives to take action to rebrand the game of football. For Jones, coaches and executives should stand ready to take every step possible to ensure the safety of players. At the end of the day, no matter the conversation, the safety of players should be prioritized, even if that means that players might get fewer opportunities (especially those not good enough to shine on offense or defense). Maragos would probably disagree here, especially considering his opinions about the vital importance of kickoffs and punts as effective gateways to stardom. In support of his point, Maragos has been known to point to Delanie Walker (Tennessee tight end), his teammate in San Francisco for whom Special teams was essential to keeping him on the roster. Another supporter of Maragos’ position, Minnesota Receiver Adam Thielen believes that the key to safety is practice. If players do what they are supposed to do on the practice field, they are less likely to make mistakes during NFL games.For Maragos, the further alteration and eventual elimination of the kickoff would be a great blow to football, removing a play that many have come to associate with the game.